Shangri-La Hotel, Doha has opened for business. Housed within a 50-storey property, the hotel offers direct links to the City Centre Mall, Doha’s largest shopping centre, and is only five minutes from the waterfront promenade. Shangri-La Hotel, Doha, designed to resemble a falcon’s head, is filled with museum-quality art pieces that pay homage to Qatar’s heritage. 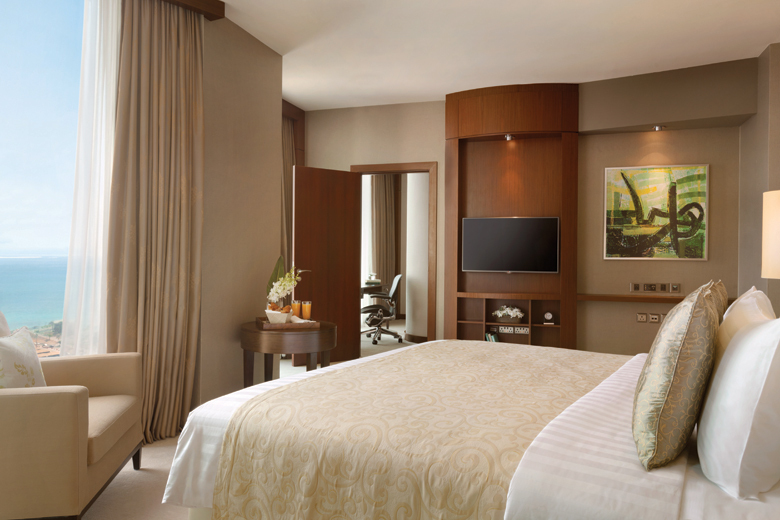 There are 272 guestrooms and 42 serviced apartments, all offering floor-to-ceiling windows and views of the city and Gulf. Designed using earthy colour tones, each room also comes with a 47-inch wifi-enabled smart TV and the brand’s signature mattress. The marble bathroom is fitted with a deep-soaking tub and walk-in shower. Guests staying on the Club floor have access to the Horizon Club Lounge. Located on level 42, the facility offers private check-in service, complimentary refreshments and other club benefits. Shangri-La Hotel, Doha is also home to several F&B outlets. Guests can choose from all-day dining at Sridan, Argentine pampas fare at Fuego, European cuisine at The Den; and seafood at Yabbi. Meanwhile, the Shanghai Club restaurant (Chinese) will open in Q2. 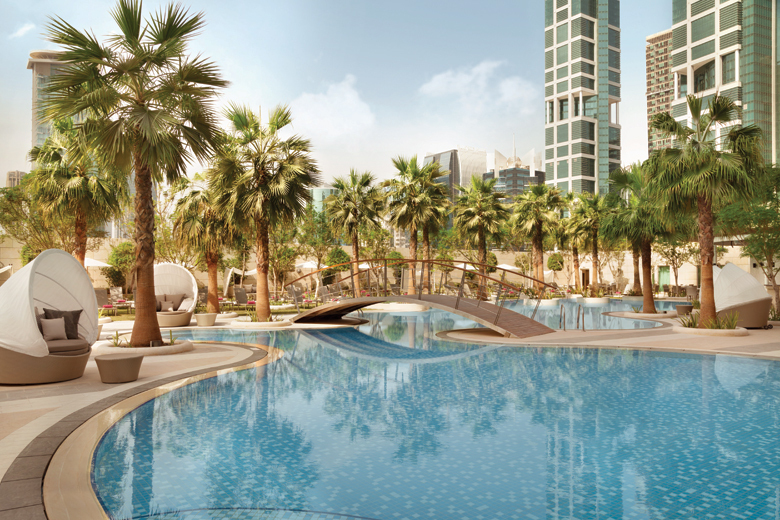 Recreational facilities include a lagoon-shaped pool along with a 2,000 sqm deck. A shaded splash pool is also located nearby, surrounded by more than 70 trees. Next to the pool area is the Health Club, which contains a 24-hour fitness centre, sauna and steam rooms. 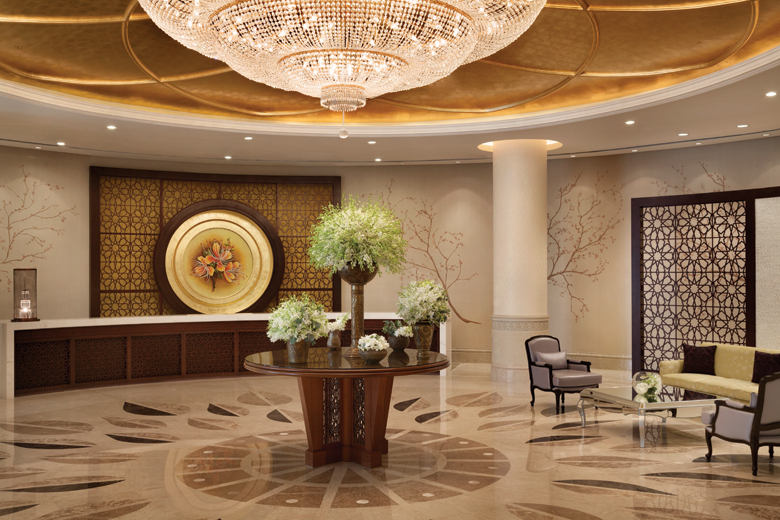 Shangri-La’s signature CHI, The Spa is also offered at the new hotel. The spa blends Asian wellness traditions with botanical extracts, aromatic essential oils and natural Arabian elements. An outdoor hydrotonic pool and eight private treatment rooms are also available. Finally, the hotel has a total of nine function spaces, including the pillarless Shangri-La Ballroom that features high ceilings and six ornate chandeliers. Additional function rooms located next to the business centre provide plenty of versatility for small meetings.